Despite efforts to bring public oversight to the acquisition and use of surveillance technologies, OPD secretly used a social media mapping technology. Without public hearings or civilian oversight, the Oakland Police Department acquired a powerful social media monitoring tool called Geofeedia in 2014 and has used it to conduct surveillance on large public gatherings, possibly including political protests. 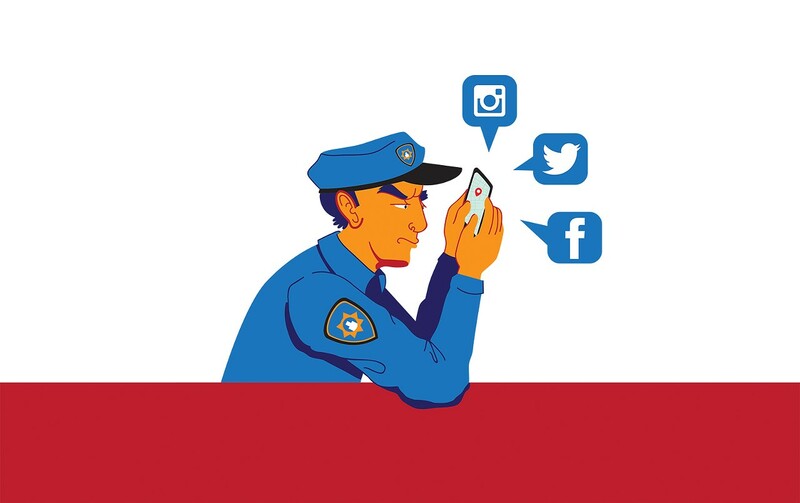 OPD's acquisition and use of the social media monitoring software, out of public view, occurred in spite of the city's recent establishment of a permanent privacy commission. The privacy commission was created earlier this year in the aftermath of OPD's controversial attempt to build a city-wide surveillance hub called the Domain Awareness Center (DAC) and is supposed to conduct oversight of OPD's acquisition of surveillance technologies. But civil libertarians say OPD's decision to acquire Geofeedia's software on the sly violates the spirit of the privacy commission. Furthermore, some worry that police monitoring of social media could have harmful effects on democracy. 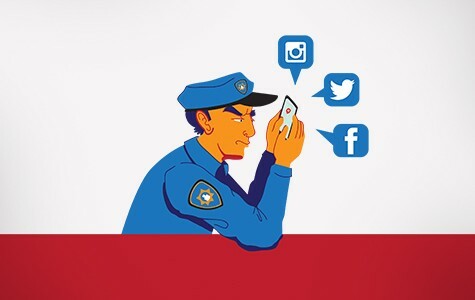 "If people worry that law enforcement will be monitoring social media, that will exert pressure for them not to post," said Matt Cagle, an attorney with the American Civil Liberties Union of Northern California. Academic research supports Cagle's contention that surveillance of social media has a "chilling effect" on public discourse. A recent paper by Professor Elizabeth Stoycheff of Wayne State University found that when people are aware the police are monitoring their online communications, they are less likely to express dissenting political views. Geofeedia software allows the police to search Twitter, Facebook, Instagram, Picasa, Flickr and Weibo for key words in real-time, geographically locating people as they communicate with each other on the go, reading their posts, viewing their pictures and videos, and tracking who they interact with. At last fall's International Chiefs of Police conference in Chicago, Geofeedia employee Andrew Kaye demonstrated his company's software to me. He showed social media posts of people he identified as "gang members" holding firearms and flashing gang signs which could be used by police and prosecutors in investigations. Kaye also showed how Geofeedia could be used to monitor protesters who took part in Baltimore's Freddie Gray demonstrations. According to City of Oakland records, the Oakland Police Department purchased a software license for Geofeedia in October 2014 for $9,243. Because the purchase did not cost more than $25,000, it did not require approval by the Oakland City Council. OPD never publicly announced purchase and use of this software. Rasheed Shabazz, a journalist and activist, was arrested in downtown Oakland during a Black Lives Matter protest on November 24, 2014. A prolific user of social media who has covered dozens of local demonstrations over the years, Shabazz believes that OPD used Geofeedia to monitor the Black Lives Matters movement. "A lot of the organizing was on social media," Shabazz said. "People were being fairly transparent about what they were planning, and to think that law enforcement isn't monitoring, that is foolish." In an email, OPD spokesman Officer Marco Marquez wrote that OPD's Intelligence and Special Victims Units originally acquired Geofeedia as part of a "free trial." Then OPD purchased a one-year license for the software, which expired last October. "During the trial and subscription period (fall 2014-fall 2015) the social media product Geofeedia was possibly used during various protest activities, including Black Lives Matter events," Marquez wrote. "It was lightly used during operations for protests." Marquez also wrote that OPD has no policy governing the use of social media monitoring technology. City records show that two other companies, Sysomos and Salesforce, also wanted to sell social media monitoring software to OPD. William Feltham, a former Sysomos employee, said he submitted a bid in response to a request for proposals issued by OPD. "It was a bid to their requirements to look for social intelligence in the area of criminal activity, to filter by keywords, location, and sentiment," Feltham said in an interview. Shabazz said the decision to monitor social media surreptitiously is a logical continuation of OPD's historical behavior. "For people who've been observing the Oakland police, it doesn't come as a surprise that they'd want to monitor and stifle protests, especially protest movements that are critical of law enforcement," he said. Brian Hofer, an Oakland attorney who was recently appointed to Oakland's new permanent Privacy Advisory Commission, was displeased at OPD's decision to purchase Geofeedia's software without any public review or notice. Hofer said the Oakland police do not appear to have learned anything as a result of public opposition to the DAC surveillance system. Discontent with the DAC led the city council to scale it back as a Port of Oakland-only surveillance system which would not include features like the ability to monitor social media throughout the city — part of the original design. But Hofer said that OPD's acquisition of Geofeedia shows that the department has moved forward with the overall vision of the DAC, albeit in a piecemeal fashion. "Jean Quan, who was mayor at the time, said we're going to slowly re-introduce the Domain Awareness Center piece by piece, and the department is still going to do what they want to," said Hofer, referring to comments Mayor Quan made in 2014 during the debate over the DAC. Hofer believes that online surveillance directly impacts civic participation and should be subject to civilian oversight. "Just because these are public postings doesn't mean there aren't civil liberties protections," Hofer said. "Monitoring does have a chilling effect if you know those keywords are being monitored." One of the first actions of the privacy committee, when it convenes next month, will be to draft a city-wide surveillance equipment ordinance to govern how surveillance gear is acquired and used by city departments — including license plate readers, surveillance cameras, and the department's cell-site simulators. But the privacy commission has to be able to identify surveillance technologies acquired by the city, and if a department quietly acquires a tool, like Geofeedia, it will be difficult to enforce the commission's mandate. While details about OPD's use of Geofeedia are still only emerging, San Jose has been more forthcoming. San Jose bought a Geofeedia software license for $9,999 on September 25, 2015, just before the Super Bowl. According to SJPD budget records, it will cost the department $25,000 annually to maintain an expanded software license for Geofeedia so that its robbery, homicide and gang investigations units can use it. Currently, Geofeedia is used only by the SJPD's Special Investigations Unit, which is responsible for organized crime, high-tech crime, gangs, terrorism, and dignitary protection. SJPD Lieutenant Mike Sullivan, who runs the Special Investigations Unit, said his officers began using the software during the run-up to this year's Super Bowl. "Geofeedia was a great tool to gather information through open source intelligence," Sullivan said. Subsequently, SJPD has used the software on a "case-by-case" basis, said Sullivan. He declined to elaborate on specific cases though. Records show that SJPD used Geofeedia during the visit of Indian Prime Minister Narenda Modi last year in an effort to monitor potential threats. For example, the police identified a "die-in" protest near an arena where the prime minister gave a speech. Geofeedia also provided SJPD with information about a student's social media post in October 2015 threatening to bring a gun to school to kill a classmate. Another Geofeedia notice flagged a YouTube video that was critical about use of force by a SJPD officer. "No on in the Department was aware of this posting, which has a potential for unfavorable media scrutiny," an internal SJPD budget report states. "There was a controversy with San Jose police about their decision to acquire drones last year, and they did it in a manner which wasn't subject to public disclosure," said Walter Katz, the independent police auditor for San Jose. "I'd be concerned if this [Geofeedia acquisition] once again has come up without public notice," Katz said. A search of the San Jose city clerk's records yielded no council hearings or notifications about the Geofeedia acquisition. Cagle, the ACLU attorney who uncovered the Fresno Police Department's surreptitious testing of social media monitoring tools, said the behavior of law enforcement in San Jose and Oakland emphasizes the need for independent oversight of surveillance technology. "These purchases raise questions about what limits are in place to ensure that this technology isn't use to conduct surveillance of lawful behavior," Cagle said.